Like many beauty brands, Avon has cellulite-firming creams that promise to diminish the appearance of stretch marks and skin dimples. But the ad campaign for these products is landing Avon in hot water this week after one actress called them out for insensitive messaging. "The Good Place" star Jameela Jamil aired her frustration over Avon's Smooth Moves Naked Proof campaign after coming across an ad that read: "Dimples are cute on your face (not on your thighs)." The outspoken actress slammed the brand's advertisement, writing, "And yet EVERYONE has dimples on their thighs, I do, you do, and the CLOWNS at @Avon_UK certainly do. Stop shaming women about age, gravity and cellulite. They’re inevitable, completely normal things. To make us fear them and try to 'fix' them, is to literally set us up for failure." Jamil pointed out the irony in another ad from the Avon campaign. The ad reads "Every body is beautiful" yet proceeds to plug the line of cellulite creams, claiming they'll help women "feel powerful and beautiful 24/7." With many women already struggling with self acceptance and a growing body positivity movement making strides, Jamil said this type of campaign sends potentially damaging mixed messages. "Shame on @AvonInsider and any publication that allows this sort of abusive advertising. My timeline is full of women saying adverts like these are why they are afraid to be naked in front of lovers, or to wear a swimsuit. You are being robbed of your money and self esteem," she wrote. Avon's Twitter account, Avon Insider, soon reached out to Jamil to offer an apology and reassure the actress that they would remove this particular campaign from their marketing materials. After applauding the brand for reaching out, Jamil followed up with a stern warning, writing "But also @AvonInsider please don’t promote a brand that markets itself as 'Naked Proof' again. None of us need to be told that anything should stop us from feeling good naked. It’s the most natural thing. There is nothing wrong with scars and marks and bumps. We are human." The brand later issued a formal apology on their own account. 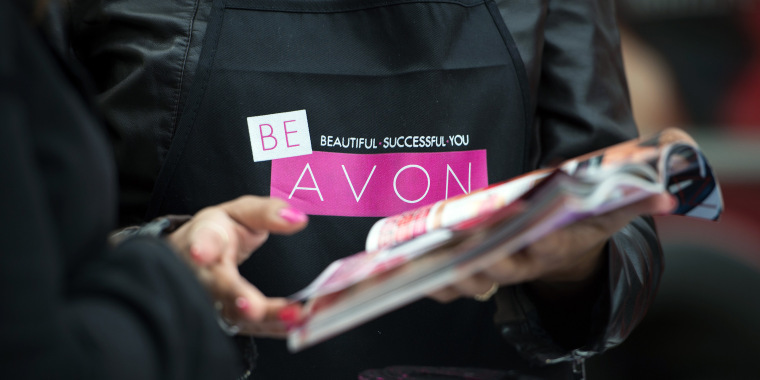 In a statement to TODAY Style, an Avon representative said the brand is committed to examining potentially harmful messaging in their future ads: "We sincerely apologize for missing the mark. At Avon, we want to celebrate women and their power. We are working diligently to remove this messaging from our marketing."